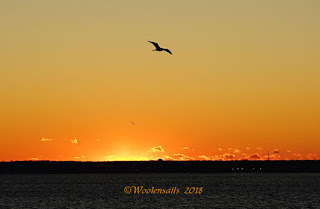 Woolensails: Wonderful start to the New Year! Today was another cold day, they all seem to be. But, I wanted to get out and thought a walk on the beach would be good, since I was all bundled up. But, it was still cold and it got through and my fingers got cold trying to get a photo, so I gave up. 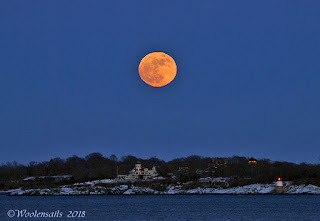 This evening I wanted to get the moon rise. It is still cold, but we could sit in the car and I could get out when I wanted a photo. We went to Beavertail lighthouse and the sun was setting fast and I couldn't see the moon, so we stopped to get a few photos. It was fast, but beautiful. We drove to the other side to catch the moon and it had already risen. I really wanted to catch it as it came up, but it was still beautiful. It is rising over Newport's Castle Hill Inn and you can see the lighthouse to the right. We came back around through the town and stopped at the wharf. It was getting darker so my photos had to be lightened and I lost quality with the slow shutter, but it was still beautiful with the Christmas lights and the bridge. 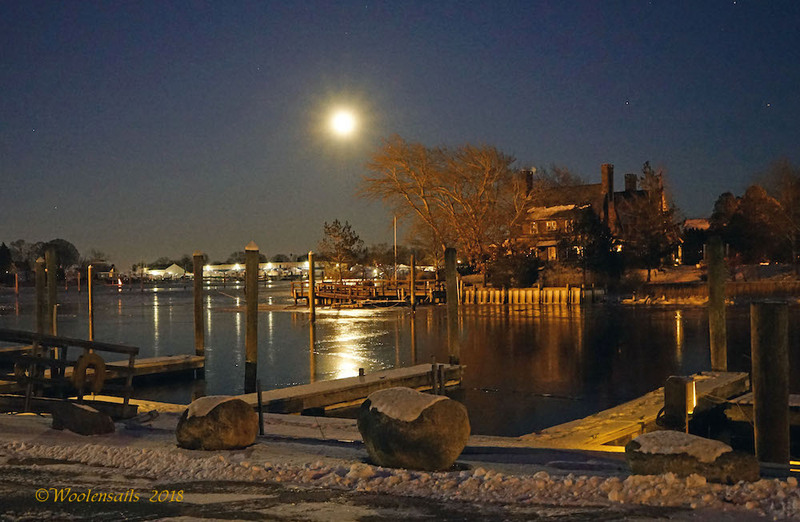 On the way home, we stopped in the village to get a shot of the moon, over Wickford Harbor. Love how the lights play on the ice. 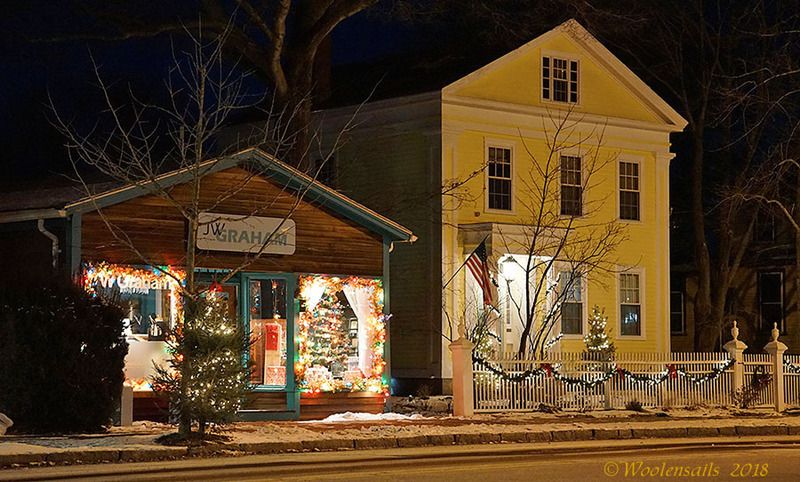 On the way out, I took a shot of some of the buildings in town, they always look so beautiful, decorated for Christmas. It was a nice way to end the first day of the new year. And to top it off, when I got home and went on the porch, a meteorite flew overhead. I hope you all had a wonderful New Year and will be blessed with love, joy and good health, in the coming year. I am ready to relax and start working on new projects. 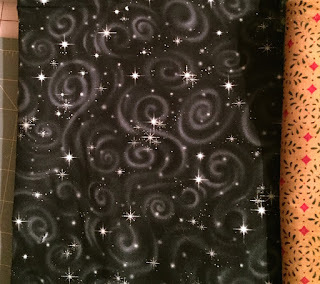 I decided to start with the brighter fabrics and even found a fun print, that I will use for the middle section and the border, so the stars and trees will be on this and the stockings on the shiny, solid black. I may give this one to the kids next year and make a primitive one for me. such beautiful pictures. 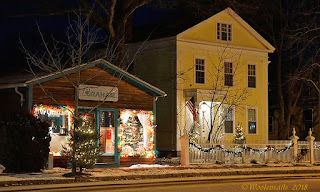 When my daughter went to college in RI we use to go to Wickford. It has been a long time since we have visited but what a sweet area. GORGEOUS pics, Debbie. That moon was so photogenic, wasn't it? Just huge! Love the fabric you've picked out for the stockings!!! 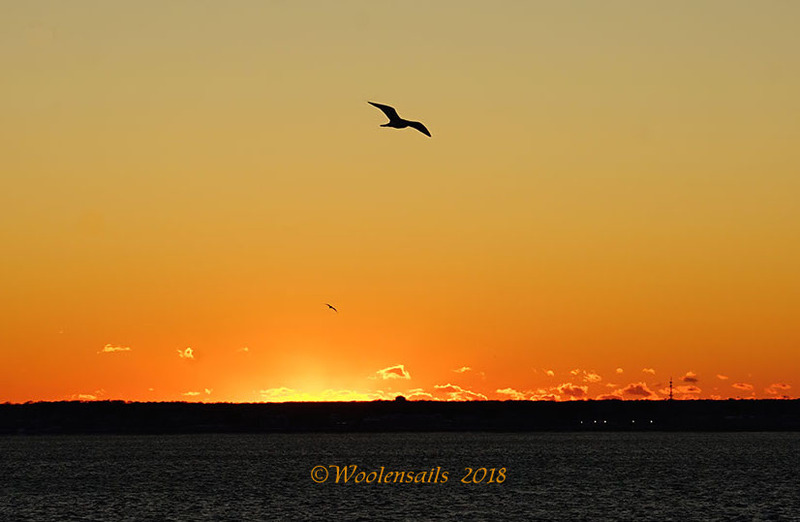 beautiful photos...I hear that it is very cold in your neck of the woods...stay toasty inside stitching! Lovely photos Debbie, I wondered if you had adjusted the colour. 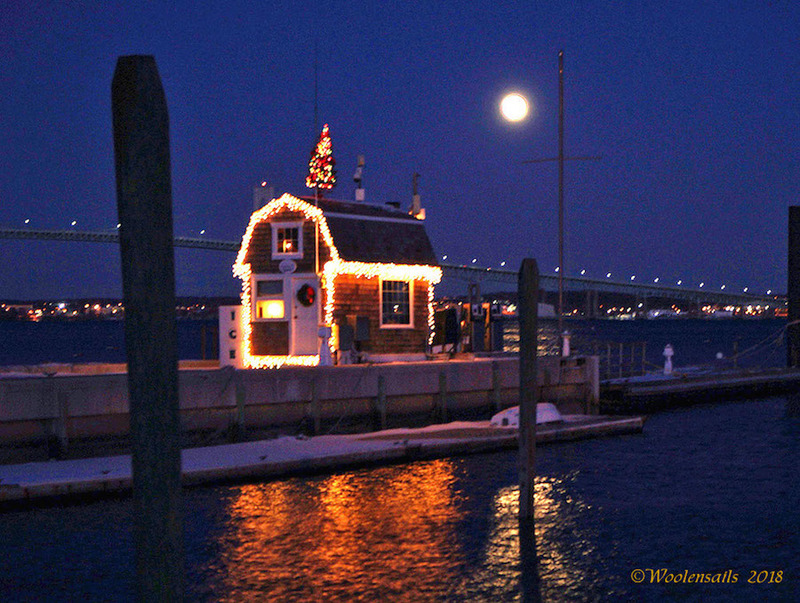 Love the tree on top of the building on th pier! 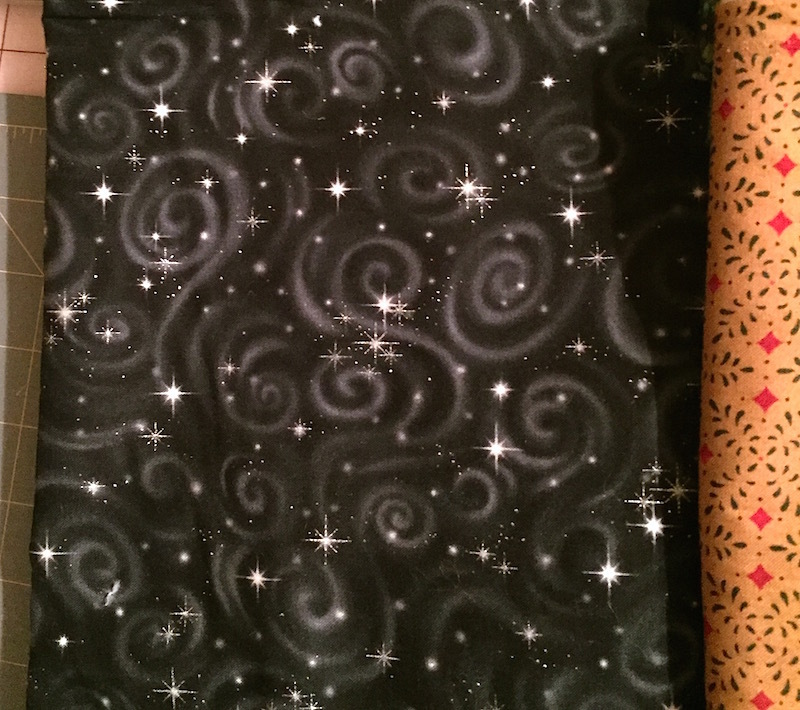 That star fabric is something I'd buy if I saw it. Can't wait to see what you do with it! 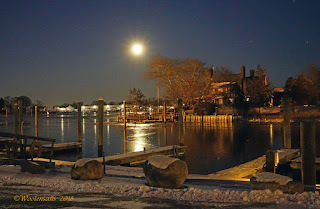 Enjoy"
Wow, I love these pictures, especially that moon. Thanks for taking us along. It is cols and blustery here but the sun is out and the sky has been bright blue for many days. I hear it is extra cold all over the states ... even beyond the usual places, and snow all the way to the south. Keep warm and enjoy a bit of your usual creativity.